Republic of Ireland striker, Michael Obafemi was on impressive form as he made his first start for Southampton this evening during their exit from the Carabao Cup. Mark Hughes’ side lost out 6-5 on penalties to Leicester City in the King Power Stadium but, arguably, dominated proceedings during normal time. 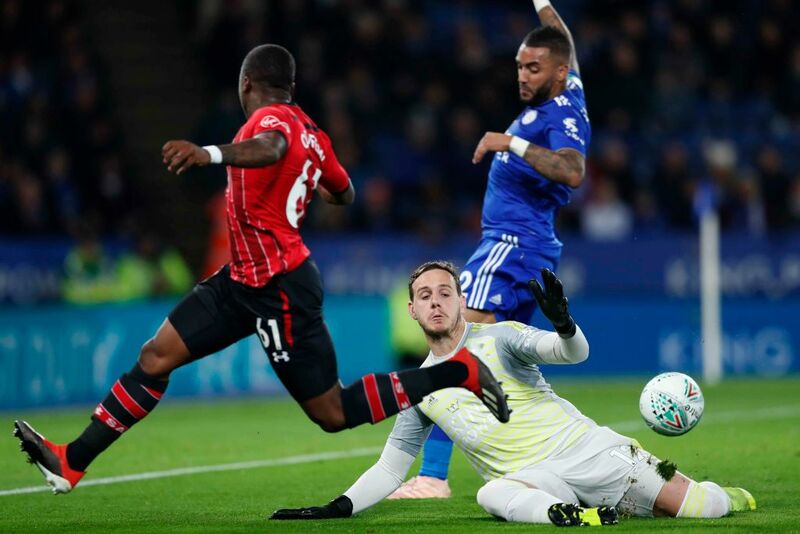 The 18-year-old was involved in their first big chance of the game as he collected a ball on the halfway line and made a blistering run down the inside-left, but he couldn’t get enough on his left-footed shot from an angle to beat the Leicester goalkeeper. Obafemi found himself with another golden opportunity in the second half when Nathan Redmond’s effort deflected off the post into his path just a few yards out, but he got his feet in a tangle and shot wide. Saints did break the deadlock it seemed with minutes remaining when Redmond crossed a ball to Steven Davis who slotted it in with a left-footed shot. However, the referee consulted with VAR and it confirmed that Redmond had handled the ball as he broke into the box. 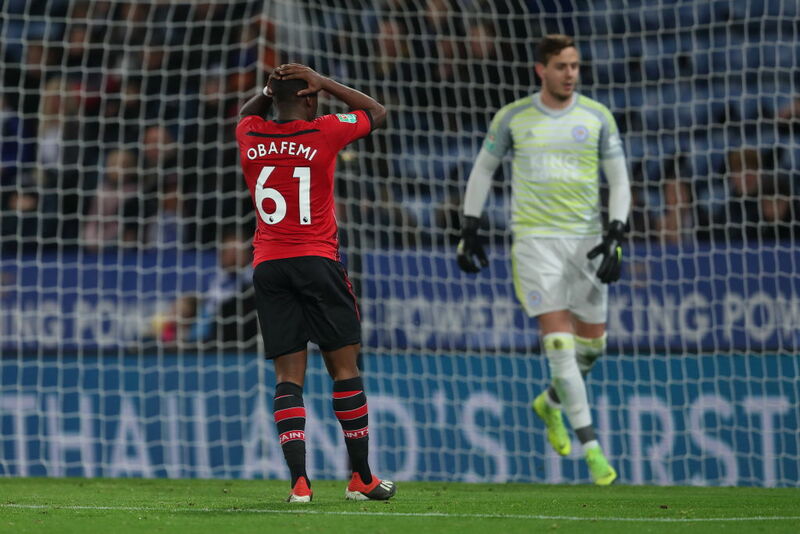 Obafemi was subbed off and his replacement, Manolo Gabbiadini, almost got the ball past Danny Ward but the Leicester scrambling defence cleared it off the line to send the game to penalties. It was neck-and-neck until Ward saved Gabbiadini’s effort, allowing Nampalys Mendy to score the decisive effort in the shootout. Not the ideal night for Obafemi but he will be delighted to have made a positive impression on his first start in a month that saw him declare his allegiance for the Republic of Ireland before making his senior debut against Denmark.